Nature is an endless source of inspiration and we believe in exploring it in as many wonderful and inventive ways as possible – join us on one of our free events or seminars so you can see and learn more for yourself! 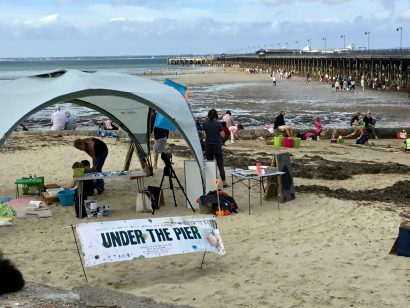 Our pop-up events on the Isle of Wight include Under The Pier, Beach, Bugs & Bones, The Arc Woodland Safari, Rockpool Magic, Sandman Snowman, Dawn Chorus, The Christmas Garden and more. 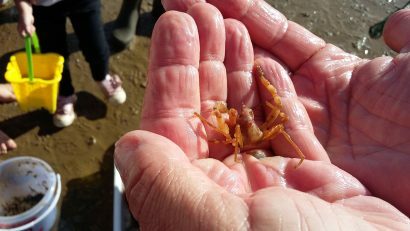 As part of the Bay Coastal Community Team (Shaping the Bay), our Discovery Bay programme of events are designed to reveal the extraordinary science and lifelong inspiration of the natural world in our home-base, Sandown Bay. We fund our events ourselves but donations (and sponsors too) to The Common Space are very welcome. Follow us on Facebook: Shaping The Bay, Welcome to Arc, Twitter: @arcteam and Instagram, Arc.Ways. Or alternatively, contact Claire Hector on claire@arc-consulting.co.uk / claire@artecology.design, tel. 07710 363446 for more information. 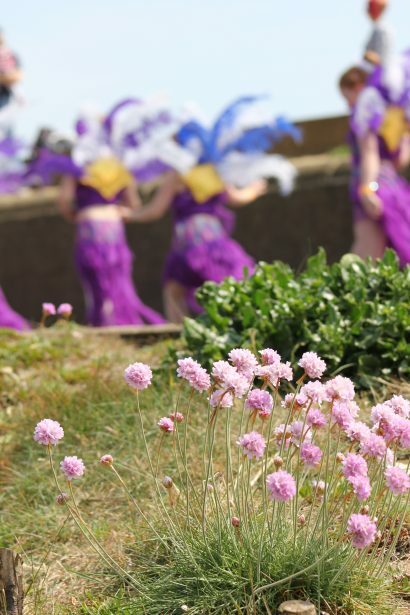 Keep an eye out here for a whole year’s worth of Bayology events timed to celebrate the Island’s Biosphere nomination as well as Under the Pier! 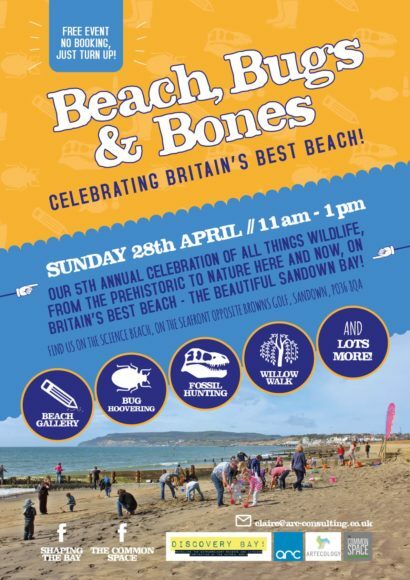 Our 5th annual beach and beyond celebration of all things wildlife, from the prehistoric to the full of life, in beautiful Sandown Bay! 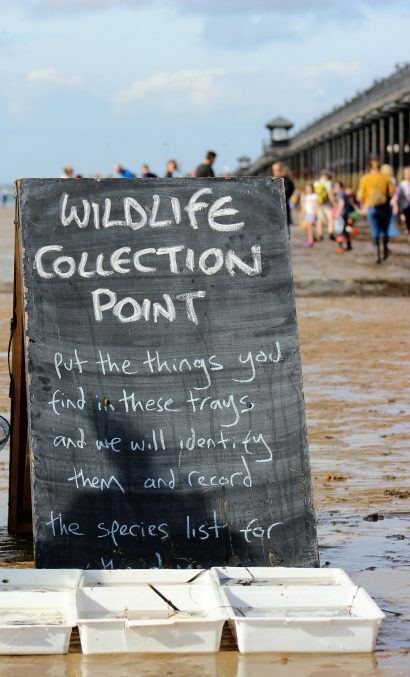 Join us for fossil hunting, the beach gallery, bug-hoovering, soil-sieving, willow-walking, the hydrophone, and lots, lots more! Find us on the Science Beach, the seafront opposite Browns Golf Course, Culver Parade, Sandown PO36 8QA. The Discovery Bay team, (that’s Artecology, Arc, The Common Space and the National Poo Museum) will be curating a whole world of science, nature, heritage and more at Hullabaloo again in 2019, all aimed at revealing the life-long inspiration and extraordinary natural resource of Sandown Bay. Hullabaloo and Discovery Bay takes place in various locations… The Discovery Bay area, Top Floor at Dinosaur Isle, on the Science Beach and out in and among the woods of the Willow Walk and on into the Lost Duver. Hullabaloo will also be hosting the Quay Arts/Katie Paterson First There is a Mountain touring art project! For more details as they unfold, visit Hullabaloo and follow The Common Space on Facebook. This wildlife spectacular returns to get you up before sunrise! So set your alarm and come and join us for one of nature’s great treats. We’ll hear from a host of resident and migrant songbirds (and there’s always the chance of a nightingale!). Approximately 2 hour walk. Wear comfy shoes. Exploring 100 million years of Bay wildlife, from ammonites to cuttlefish! Become a Bayologist and celebrate National Biology Week right here in Discovery Bay with a day stuffed full of life science activities for all ages. 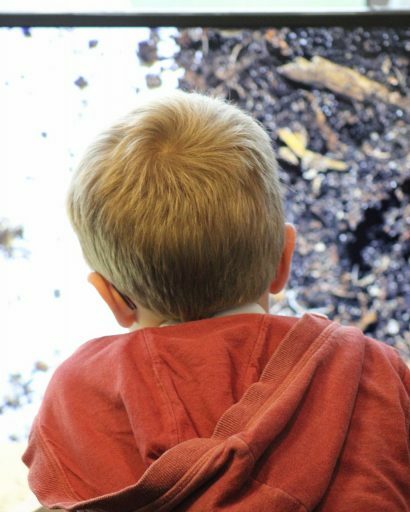 Try out our powerful microscopes, sieve for life in the soil, fire up the mighty bug hoover, dip for pondlife and fill up our wildlife aquarium, and marvel at the mole-in-a-jar! 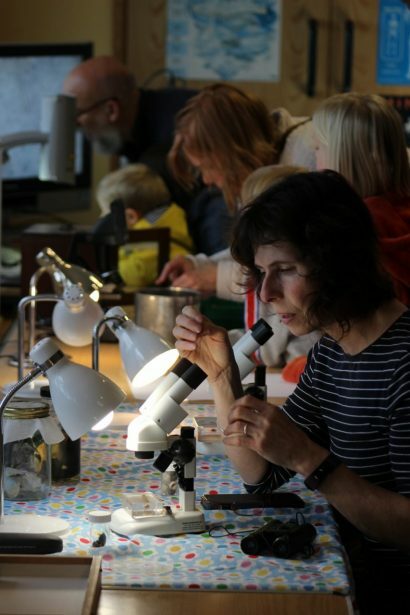 The Bay science team from Arc, Artecology, The Common Space, Dinosaur Isle and The National Poo Museum will all be here, and it’s free for all the family!